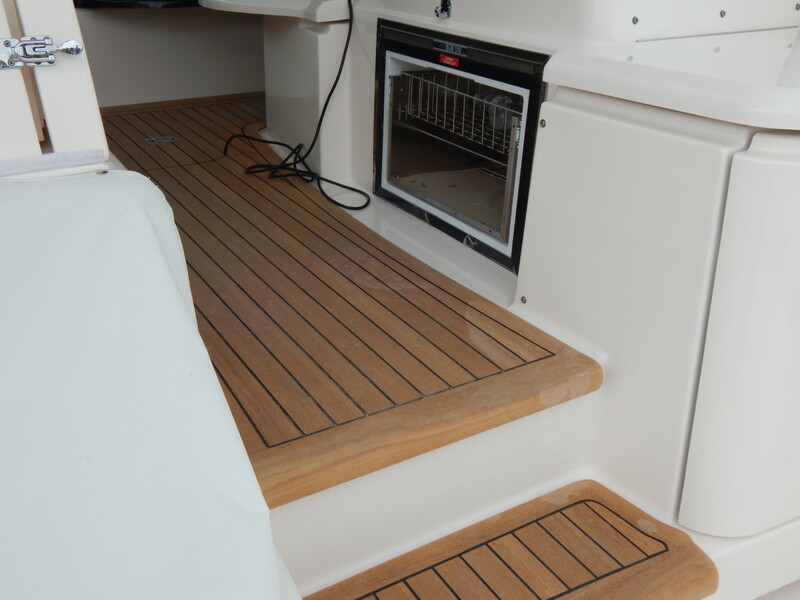 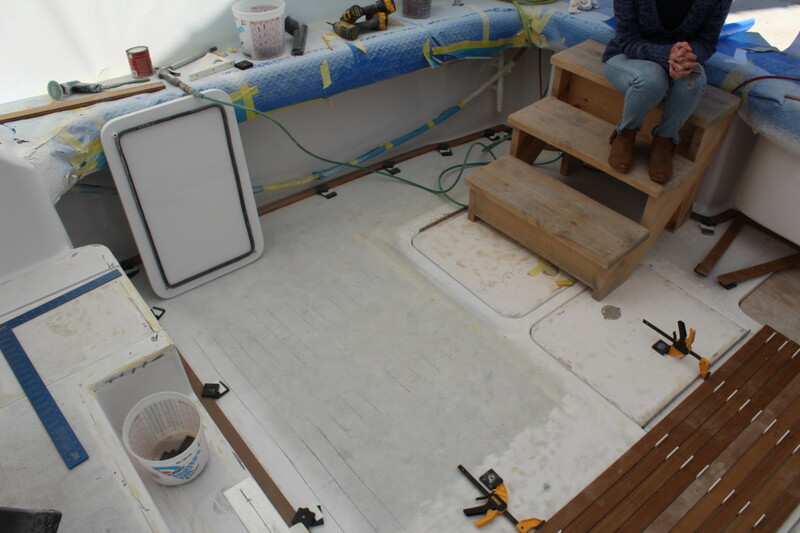 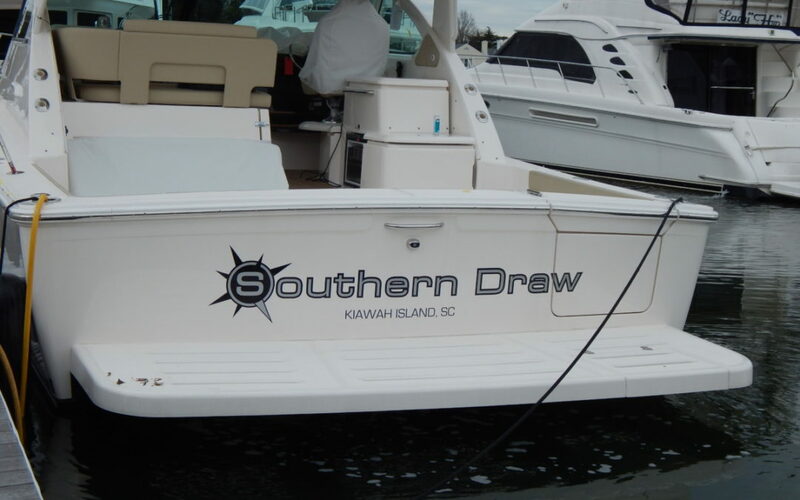 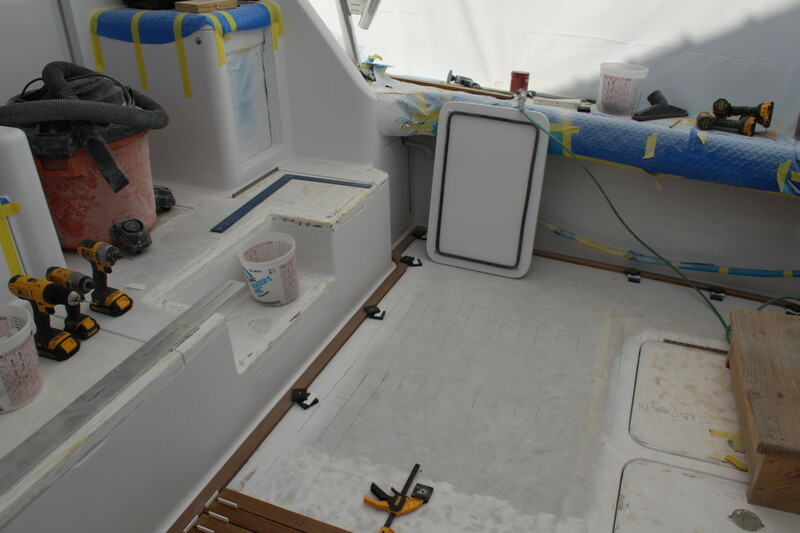 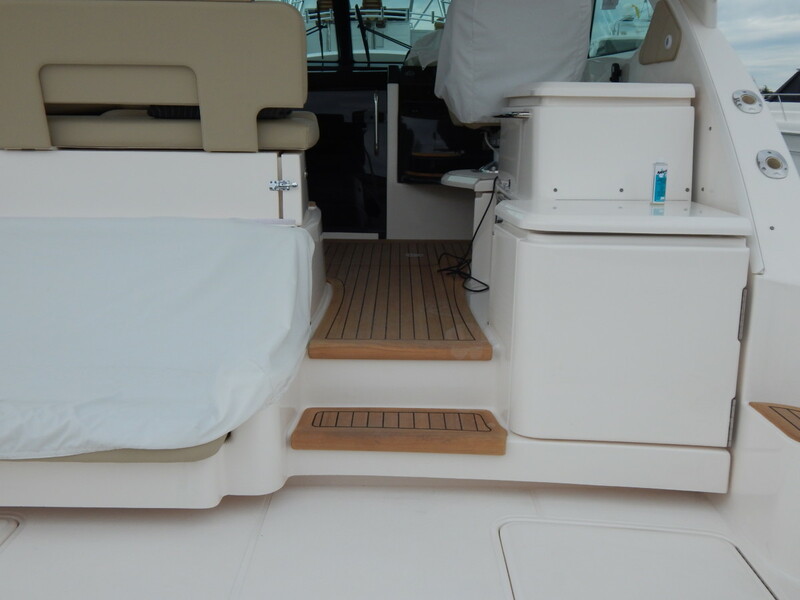 Southern Draw, a 2016 39′ Tiara owned by Brian Darnell, spent part of the winter at the Hampton Service Yard having new teak installed on the upper helm, which included removing the existing teak pads on the boarding area, steps and footrests on the helm and port settee. 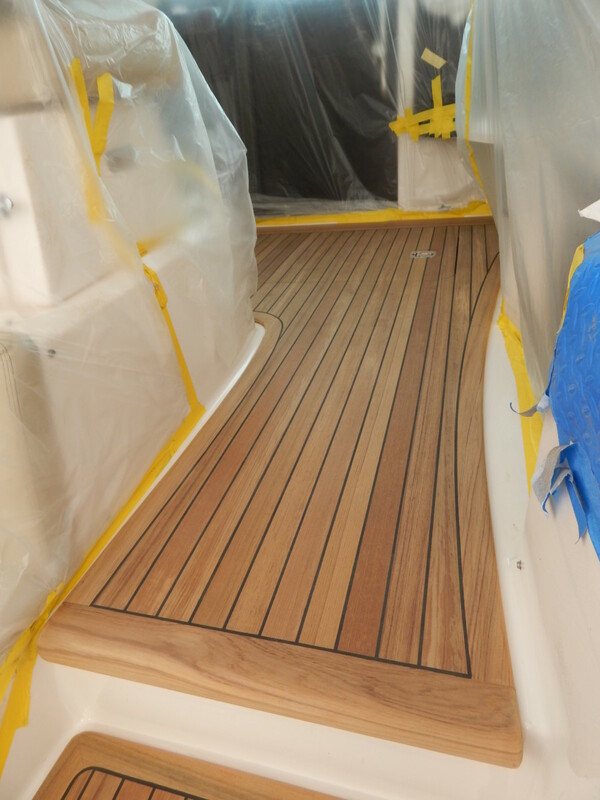 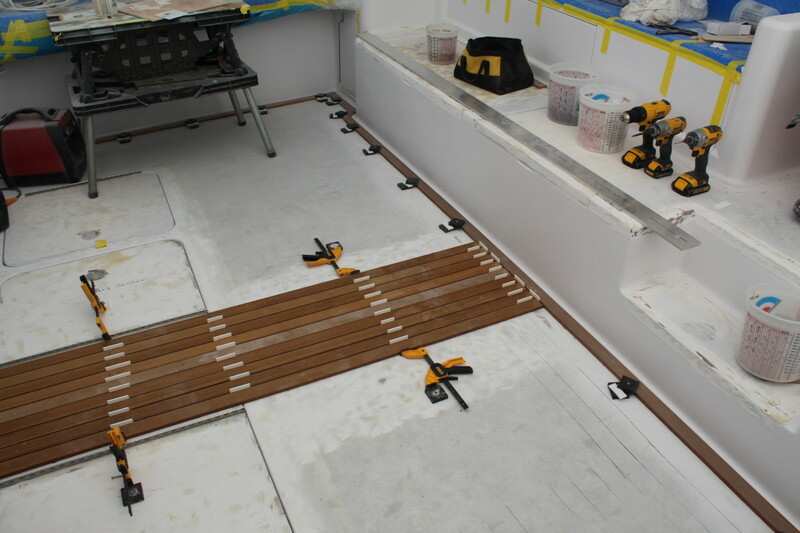 Bluewater Yacht Yards skilled carpenters carefully laying down teak boards, ensuring each board is properly spaced, sealed, sanded, and finished. 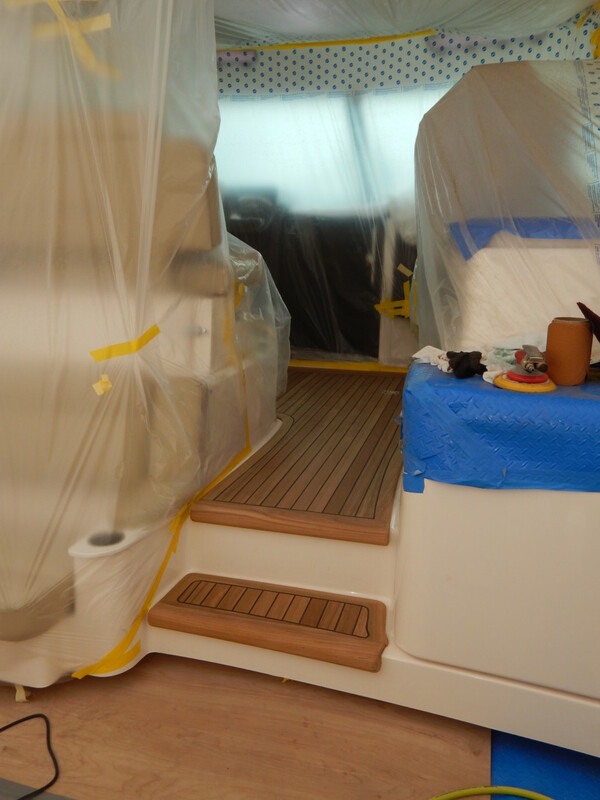 Nothing but perfection is expected for our customers.